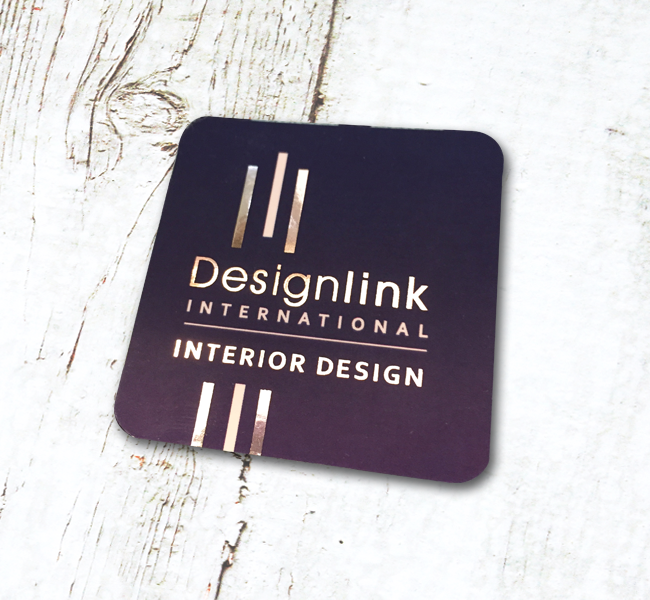 This custom brand created for DesignLink International had to illustrate emphasis on interior design for the Hospitality Industry, Corporate Offices and Executive Residences. 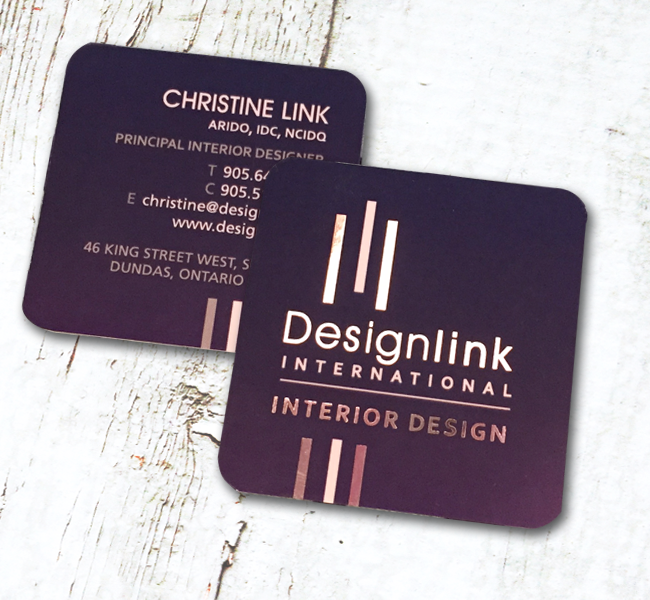 These custom square cut business cards with silver foil, and soft touch lamination fit the brand perfectly. Trade show banners, signage and brochures along with matching stationery pieces were all designed for this client.